Monday, February 13, 1837.Vandalia, IL. 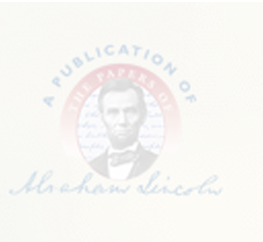 Lincoln reports from committee petition for three new counties. Committee, finding 1,437 names on petition for Sangamon division and 2,213 names on remonstrance, unanimously recommends rejection. He makes similar report on petitions from Montgomery and Shelby counties. Bridge bill in Lincoln's hand is introduced by William McMurty.House Journal; Photocopy; Report to Illinois Legislature on Petitions and Remonstrances Concerning Establishment of New Counties, [13 February 1837], CW, 1:72; Bill Introduced in Illinois Legislature to Supplement "An Act to Erect Certain Bridges, Approved January 22, 1831", [13 February 1837], CW, 1:72-73.